Current Position: Full Professor, Department of Geosciences and Environment, Faculty of Mines, National University of Colombia, Medellín Campus. Civil Engineer, National University of Colombia, Headquarters Medellin. Master in Utilization of Hydraulic Resources, National University of Colombia, Medellin Headquarters. Master of Science in Engineering, University of California, Davis, CA, United States. Ph.D. in Hydraulic Resources, National University of Colombia, Headquarters Medellin. Post-Doctorate, Hydro-Ecology. University of Colorado, Boulder, CO, United States. Since 1998, he has been a member of the Intergovernmental Panel on Climate Change (IPCC), the world organization of scientists that received the Nobel Peace Prize in 2007, being one of the Principal Authors of the Latin American chapter for Reports No. 3 (2001), 4 (2007) and 5 (2014) of the IPCC. Between 2001 and 2002 he was chosen as “Visiting Fellow” by the Cooperative Institute for Research in Environmental Sciences of the University of Colorado, in Boulder, United States. He has been Visiting Researcher at the Center for Hydrology and Ecology of Wallingford, in the United Kingdom, and at the National Center for Atmospheric Research, in Boulder, Colorado, United States. Professor Poveda Jaramillo is a Full Member of the Colombian Academy of Exact, Physical and Natural Sciences, and is a Corresponding Member of the Royal Academy of Exact, Physical and Natural Sciences of Spain. Appointed in 2013 as a member of the Editorial Board of Reviewers of the journal Frontiers in Atmospheric Science. He has received on six occasions the prizes awarded by the Alejandro Ángel Escobar Foundation, the most important recognitions of science in Colombia, thus: three first prizes in the years 1999, 2000 and 2007 and 3 Honorable Mentions. In 2001 he received the “Lorenzo Codazzi” Award for “Excellence in Engineering”, awarded by the Colombian Society of Engineers. 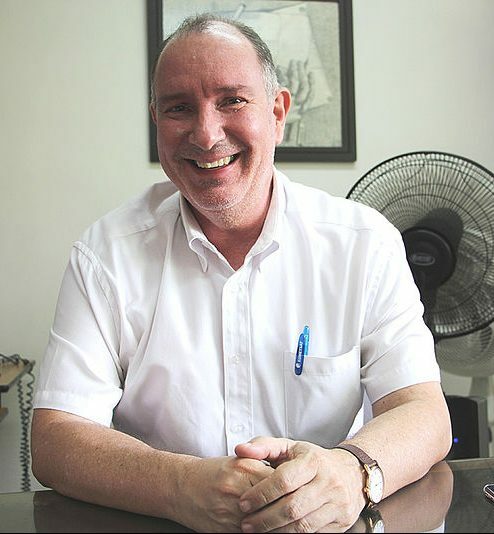 Prof. Poveda has authored or co-authored 7 books, more than 200 peer-reviewed articles published in national and international journals, and more than 200 presentations at international scientific conferences on hydrology, meteorology, oceanography, hydroclimatology, water resources, climate change and climate variability and its social, environmental and economic impacts, including energy generation, agriculture, water supply, natural disasters, and the transmission of tropical diseases.